Patrick Comerford: How do the grandchildren and children of Holocaust survivors respond to God and Faith today? respond to God and Faith today? There is an oft-told story among clergy of the Church of Ireland of a bishop who would walk into a rectory study uninvited and ask unsuspecting priests what they were currently reading. It is said too that on browsing the bookshelves in the rectory, the same bishop would surprise the incumbent by asking whether he had read any new theology since his ordination. So, what am I reading at the moment? I am still responding mentally and emotionally to my visit to Sachsenhausen and my walks through the old Jewish quarters of Berlin a few weeks ago. I have spoken about these experiences in sermons, they are feeding my thoughts for my columns next month in diocesan magazines, marking the 80th anniversary of Kristallnacht [9-10 November 1938]. 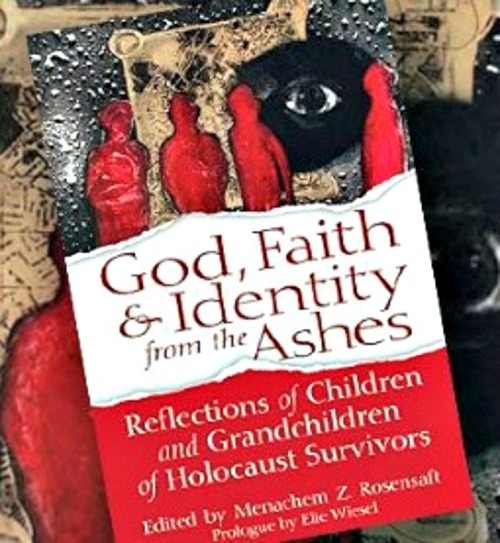 So, at the moment, I am reading God, Faith & Identity from the Ashes, Reflections of Children and Grandchildren of Holocaust Survivors, edited by Menachem Z Rosensaft and with a prologue by Elie Wiesel. In this collection of essays, published three years ago  and bought in Sachsenhausen last month, the 88 contributors – the children and grandchildren of Holocaust survivors, the so-called ‘second and third generations’ – reflect on how the memories transmitted to them have affected their lives. This book is intended to reflect what the contributors believe, who they are and how that informs what they do with their lives. These are emotionally powerful, and deeply moving essays. In their own way, the contributors ask how the experiences of their parents and grandparents shaped their identity and their attitudes toward God, faith, Judaism, the Jewish people and the world as a whole. They include theologians, scholars, spiritual leaders, authors, artists, political and community leaders and media personalities, from 16 countries on six continents. 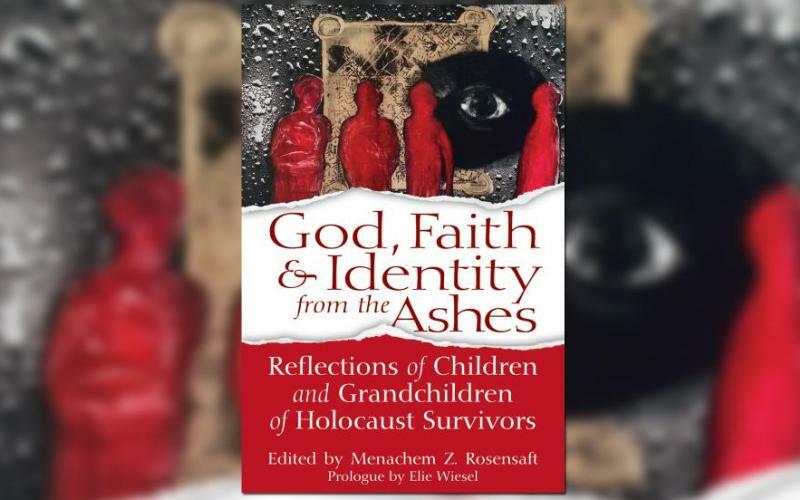 In these short essays, they tell profoundly personal stories as they explore faith, identity and legacy in the aftermath of the Holocaust. They offer very personal perspectives, and challenge us to think anew about how we work to ensure that genocides and similar atrocities never happen again. The collection is compiled and edited by Menachem Z Rosensaft, who was born in the Displaced Persons camp of Bergen-Belsen. He is general counsel of the World Jewish Congress, teaches about the law of genocide and war crimes trials at the law schools in Columbia and Cornell Universities. He was appointed to the US Holocaust Memorial Council by Bill Clinton and Barack Obama, and he is a past president of Park Avenue Synagogue in New York. The prologue is by Elie Wiesel, the Nobel Peace Prize laureate and author of Nacht, who survived Auschwitz and Buchenwald, and who died two years ago [2 July 2016]. He was seen as the voice of conscience and Holocaust memory since the end of World War II. Pope Francis’s personal thanks for a sermon Rosensaft preached in his synagogue on God’s presence in the Holocaust inspired him to invite Jewish descendants of survivors to contribute their own essays. They grew up learning why they did not have the grandparents, aunts, uncles, cousins – even brothers and sisters – that other children had. To put the figures in terms that are easy to grasp: if Europe’s Jews were a family of 10, more than eight were systematically murdered by the Nazis and their accomplices. The underlying theme is that God – present with the survivors and with their descendants, and not Hitler and the Holocaust – has the last word. Rosensaft’s core essay in this collection emphasises this theme: God dwells in those who live their humanity by exercising mercy and compassion, not succumbing to despair in the face of evil, and who find their personal triumph over evil by seeking to bind up and heal the wounds of people in this world. In his essay, which I quoted in my sermon last Sunday [30 September 2018], Rosensaft recalls how he later learned about Janusz Korczak, who set up an orphanage in Warsaw. When the Nazis came, he had an opportunity to leave the children behind and make good his own escape. Instead he stayed with these children on the train to Treblinka and the gas chambers. Abandoned by the world, Janusz did not want these children to feel they had been abandoned by him too. At Bergen-Belsen, Menachem Rosensaft’s own mother and several other Jewish women took care of the abandoned children they found in the concentration camp. She said, ‘We gave them all our love and whatever strength was left within us.’ His father kept hope alive for other Jews by leading Yom Kippur prayers in a death block in Auschwitz. In another account, a survivor recalls being given a chance by an Allied soldier to execute vengeance on his tormentor but then exercises mercy, refuses to take another life and throws away the gun. The survivors built new lives out of their trauma and the ashes of their families, throughout the world. Their children, having reflected on their parents’ pain and legacy, describe how they try to accomplish some form of tikkun olam (‘healing the world’), identifying with the weak and marginalised. Some contributors are rabbis and counsellors; others are historians, academics artists, writers and journalists; others work for human rights, with Aboriginals in Australia or Palestinians in Israel; some are politicians, others build bridges for Polish-Jewish reconciliation; another works to preserve Yiddish culture, language and song. The contributors include US senators Alfonse D’Amato and Ron Wyden; David Miliband, former British foreign secretary and president, International Rescue Committee; Justice Rosalie Silberman Abella of the Supreme Court of Canada; journalists Ethan Bronner and Joseph Berger of the New York Times, Stephanie Butnick of Tablet Magazine, Josef Joffe of Die Zeit and Sam Sokol of the Jerusalem Post; and Alexander Soros, son of George Soros. I am reading this book patiently, one or two stories each time. But already I realise the sum of this book is greater than its parts and it is the composite that is the real story.